The Virtual Box kernel driver is not accessible to current user. This error occurs if you don’t have permission to access the Virtual Box. It happens be caused the you are not belong to the vboxusers group. There are 2 ways to fix it. First, give read and write permission to users. The first way is for temporary permission. Mean if you restart/turn on your computer the setting will be gone. So, you have change the permission every time you start the Virtual Box. Click properties, mark your user name and click OK button to save the setting. 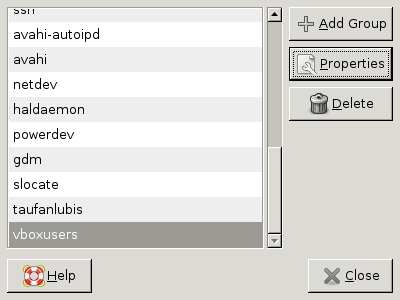 Close all ‘User and Groups’ screen. Now, you don’t have to change the permission every time you run Virtual Box. Kiba dock for Linux is almost the same with Genie Dock in Mac. It provide a good icons tool bar. 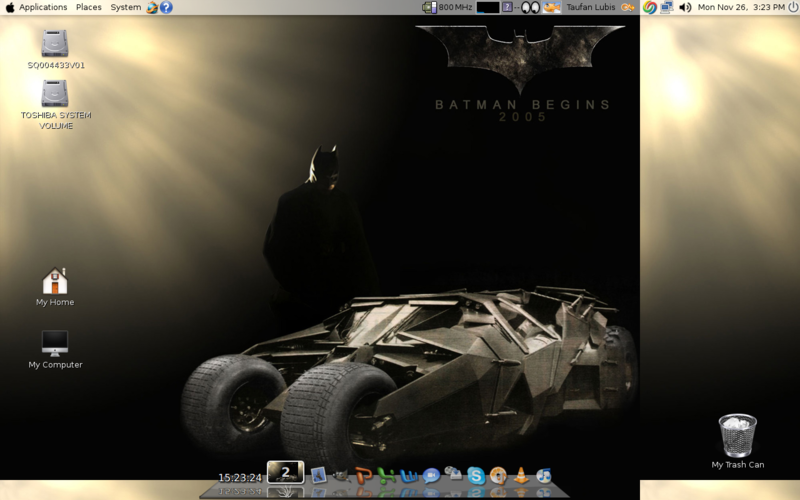 Combination Kiba dock, Mac4Linux theme and compiz create a fantastic desktop for your laptop. Try for your own risk. Sorry to say, because it may not working with your machine and it may crash your system based on few comments that I got. All steps that I mention below are standard installation from Kiba dock website. Step 1. You have add the repository link into your sources list. It’s ok if you are using Gutsy not Feisty, you can still use this repository. Step 2. Update your repository list. 0 upgraded, 4 newly installed, 0 to remove and 2 not upgraded. Need to get 489kB of archives. After unpacking 2195kB of additional disk space will be used. Selecting previously deselected package libakamaru0. Selecting previously deselected package kiba-settings. Selecting previously deselected package kiba-dock. Selecting previously deselected package kiba-plugins. 0 upgraded, 1 newly installed, 0 to remove and 2 not upgraded. Need to get 26.6kB of archives. After unpacking 254kB of additional disk space will be used. Selecting previously deselected package kiba-dock-dev. kiba-plugins is already the newest version. 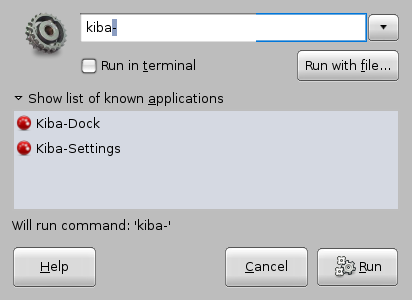 kiba-plugins set to manual installed. Toshiba Satellite A200 and A205 series have problem with I ts sound when you install Ubuntu. Because, the Realtek 268 codec from Intel ICH7 with Realtek chipset doesn’t support Ubuntu. 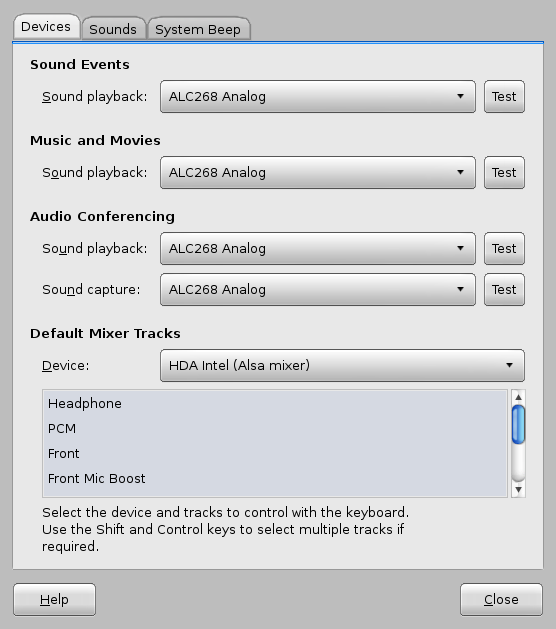 So, if you want to get your sound back, you have to replace the codec with latest version from ALSA driver. If this command returns that you have this module, then you don’t need to recompile your kernel. Step 1. Download the latest driver from ALSA project. There 3 files that you have to download, alsa-driver, alsa-lib and alsa-utils. These are the latest update when I downloaded it. I suggest to use both bunzip2 and tar, not tar only. I suggest to use root access level not sudo because I got problem when I used sudo. Step 4. Set permissions for dsp, mixer, sequencer and midi (if you use it). 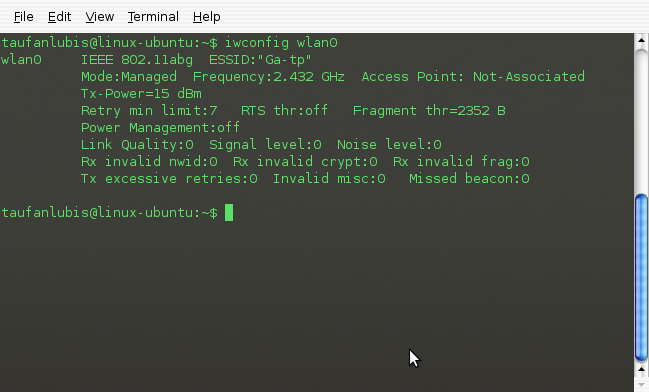 You can quit now from root access level. All mixer channels are muted by default, so you must unmute the channels. 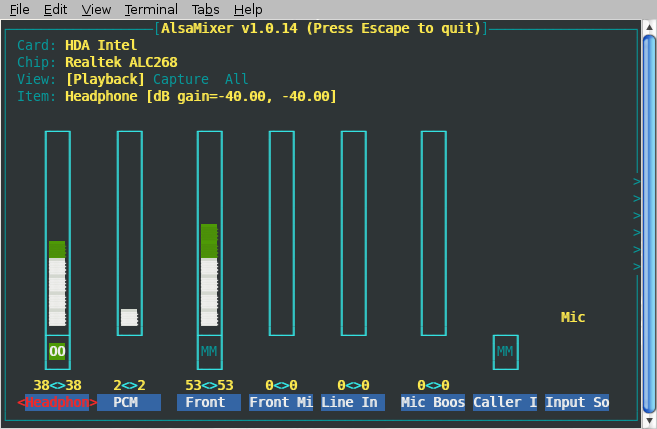 You can use alsamixer from alsa-utils package. If you don’t have /etc/modules.conf, just create a new one. Step 10. Reboot your computer. You will get the sound after you boot your computer. Now, you have a new sound Codec for your sound card. Grub is abbreviaton of “GRand Unified Bootloader”. It is used as a bootloader. If you use more than 1 Operating System, you can set your choice in ‘menu.lst’ file. Always make a back up before you work with a file system. # Numbering starts from 0, and the entry number 0 is the default if the command is not used. New Kernel menu added after the upgrade proccess has done. You will see it after you reboot your Ubuntu. You have 2 new menus but Ubuntu still keep also the old one. If you don’t need it any more just remove it. Save it. Now you only have the menu for the latest kernel. If you want to know what are non-free software installed in your computer in an easy way, you can use vrms. It analyzes the currently-installed package list and reports the non-free packages that are currently installed to stdout. Vrms was written by Bdale Garbee and Bill Geddes for the Debian GNU/Linux system, in response to an open discussion with Richard Stallman about the issues surrounding the availability/desirability of the ’non-free’ package tree in Debian. So, any software that fail to meet the terms of the Debian Free Software Guidelines included as part of the Debian Social Contract will be displayed in its report. Need to get 11.4kB of archives. After unpacking 111kB of additional disk space will be used. Selecting previously deselected package vrms. 19 non-free packages, 1.1% of 1709 installed packages. If you want to know the reasons why the sofwares above are listed in the report, you can open vrms file in /usr/share/vrms/reasons. 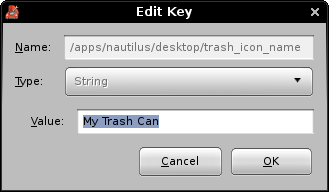 How to get your Trash Can back in Ubuntu? The default for new installed Ubuntu is clean desktop. So, if you want to get your Trash Icon back to change the setting default. Open Application > Accessories > Terminal and type gconf-editor. 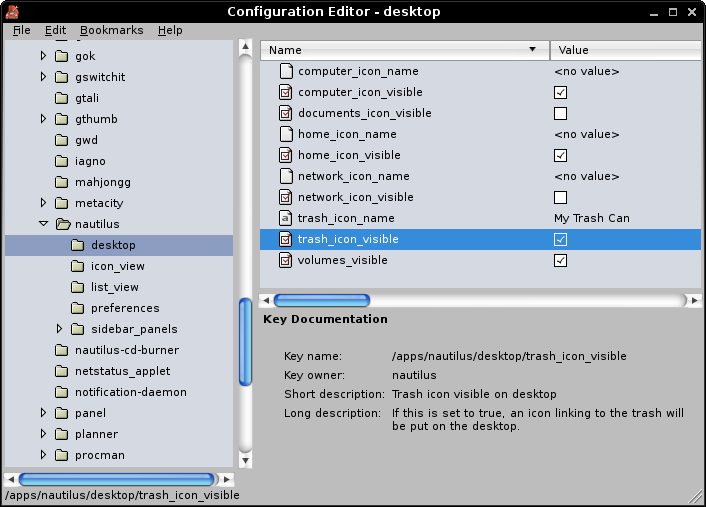 After the Desktop configuration Editor is displayed, open apps > nautilus > desktop and click the value at trash_icon_visible. Even you can change the default name ‘Trash’ to any name that you want. How to set all programs use the same papersize? In Ubuntu you can set all programs (such as OpenOffice writer, calc, impress etc) to print out in the same paper size. The setting will be kept in the file /etc/papersize. Additional paper names that one may encounter are: a0, a1, a2, a6, a7, a8, a9, a10, b0, b1, b2, b3, b4, tabloid, statement, note, halfletter, halfexecutive, folio, quarto, ledger, archA, archB, archC, archD, archE, flsa, flse, csheet, dsheet, esheet and 10×14. The value of the papersize file can be overrideen by looking in order at the PAPERSIZE environment variable, then at the contents of the file specified by the PAPERCONF environment variable. If the papersize file does not exist, programs using the paper library default to using letter as a fall-back value. To change the value, just modify the file content. For example, if you want to change from a4 to letter, replace the value from a4 to letter. You must be as root if you want to use ‘echo’. or you can edit it using gedit. When you change the value in /etc/papersize, it will automatically change the value in the paperconf. You have to exit your applications before you can use it. Change I change the paper size from one of my applications? Yes, you can. For example, you use a4 for all applications except letter for wordprocessor. Just, change mannually inside the word processor application before you start, edit or print your new document.